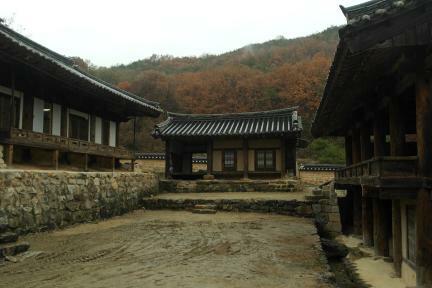 The Geumgyejaesa Ritual House of the Pungsan Ryu Clan in Andong was built to protect the tomb of Ryu Jung-yeong (pen-name: Ibam) and hold memorial services for him. This ritual house was originally used as a Buddhist temple before the mid-sixteenth century, while additional buildings - including two-story structures - were built from the early eighteenth century, giving the house is current open square-shaped arrangement. ㅇThis rare, large ritual house with two two-story buildings at its front is considered an important material for understanding the development of the architectural type of tall buildings and ritual houses, and is a valuable cultural heritage of the Andong area. 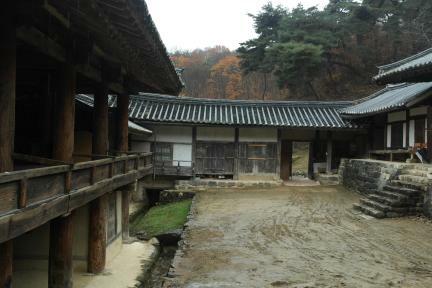 In particular, the construction features of the Sungsiljae, which was originally a temple building, such as the column-top complex bracket style, the ancient style of yeongssangchang (mullioned casement window), and the composition of the walls, are invaluable materials for studies of the style and chronology of construction in Korea.